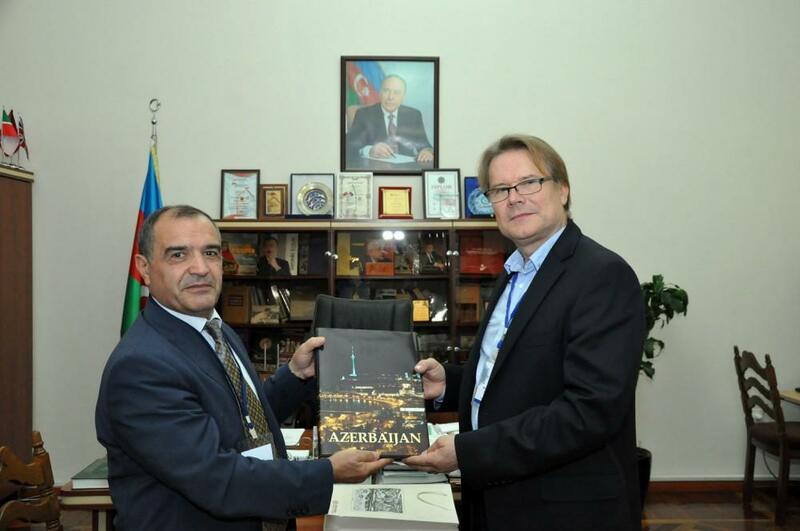 Director General of the National Library of Czech Republic Petr Kroupa visited Azerbaijan National Library to meet with its director Karim Tahirov. 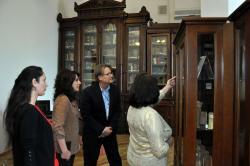 Kroupa said Azerbaijani literature samples are kept at the Czech National Library. He also revealed plans to organize an exhibition of works by Nizami Ganjavi in Prague. Tahirov proposed to demonstrate this exhibition at Azerbaijan’s National Library on the eve of the 5th Baku International Book Fair and Exhibition to be held in 2017. He also suggested translating and publishing ancient manuscripts and the catalogue of works of Azerbaijani classics in Azerbaijani, Czech and English languages. Kroupa also familiarized himself with the Open Library of Azerbaijan National Library, and expressed interest in implementing the project at the Czech National Library.